Raleigh Specials Tonight: Got Talent? Show off your stuff or just hang out to check out some local talent at The Pickled Onion tonight. Open Mic starts at 7 PM. 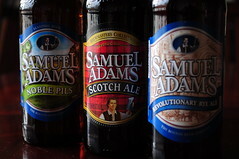 You can also enjoy $3 Sam Adams bottles, $2.50 Blue Moon draft and $3.50 Cape Cod. No cover!